Creator Graphics specializes in the design and production of print materials that make your image and marketing campaign stand out above the rest… and without bankrupting your company! We have been in the graphic design and print production industry since 1990 and know the budget constraints that companies are under. 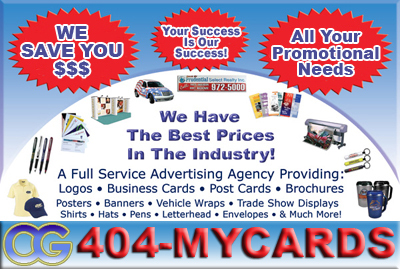 Creator Graphics has an extremely competitive full service pricing guide for much of our printed media materials so you know exactly what your advertising budget will be. We also work with you on a “per-project” basis, not by the hour, so you can rest at night knowing that your marketing project has not made your overhead “unsustainable”. Our multi-talented designers and writers create original graphic design and illustrations, imaginative marketing campaigns, striking corporate identities, functional and eye-catching web sites and multimedia programs, and any other promotional materials you may require. We can handle all forms of print products, from creative and concept development, to print production to the final printed product. We partner with a variety of commercial printing companies in order to broker the best prices for your particular project. 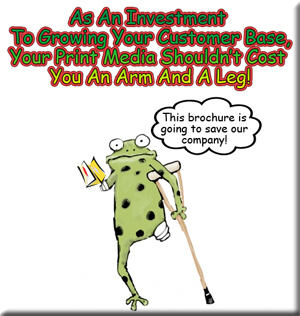 Printed media is a method to get your marketing message out to your clientele. We focus on utilizing high-impact creative concepts and resources to maximize your marketing goals. Through the creative design process, we assure you that we will develop a marketing collateral that goes beyond your expectations, that not only gets the attention of your prospects, but motivates them to become your new clientele!